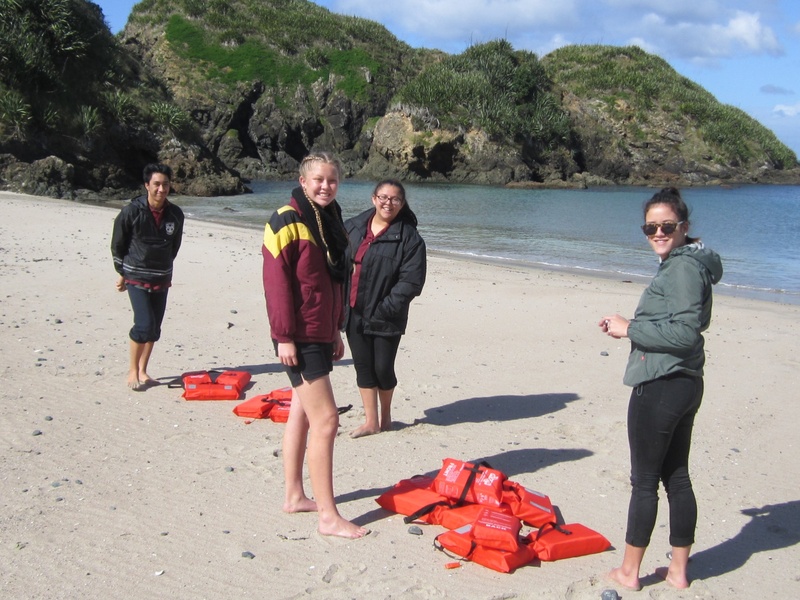 On Tuesday, 15 August students selected 2 features; the volcanic Tutukaka headland and the Ngunguru sandspit. Prior concepts had been taught in class, and this practical component required collection of evidence of erosion and sand bank change. Studen ts were enthusiastic and questioning. We visited the headland and then went back to Mr Mills’ place to do the assessment. After hot chips we went over to the Ngunguru Sandspit to study cave and arch formation, dune structures and longshore drift. Students came on the trip in their own time to achieve NCEA credits. A great day, enjoyed by all.